On one very rainy morning in Toyko, Dan and I decided to head outside the city and out to explore the cosy, seaside village of Yokohama and their fabled "Shin-Yokohama Ramen Museum". Although it's dubbed a "museum", the experience you'll have is more in line with a food-themed amusement park. 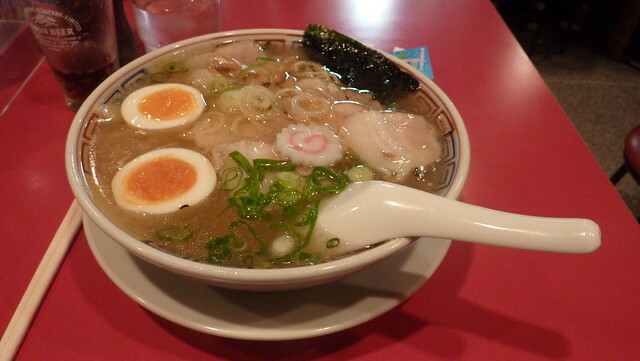 Ramen is a Japanese noodle dish, originally from China, now one of the most popular things to eat in Japan. So much so that many people might even assume that Ramen is originally Japanese. 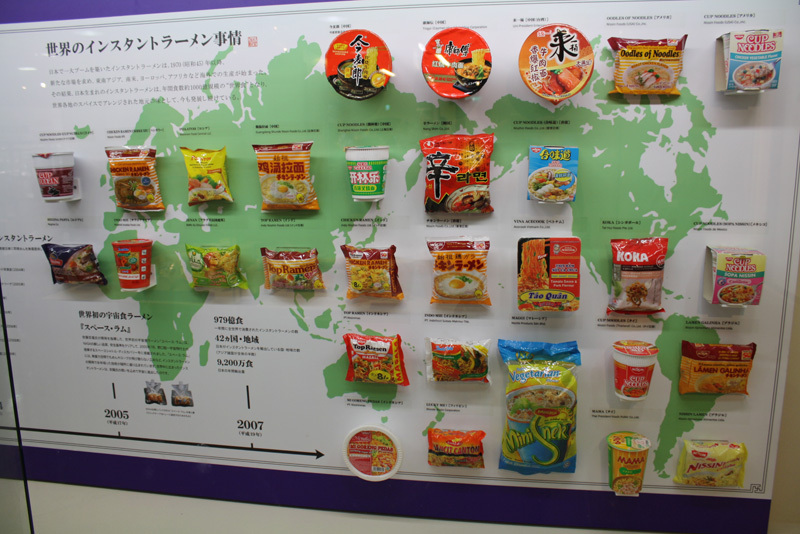 The museum is dedicated to educating people about the flavours, traditions and specialities that different kinds of ramen from all of Japan possess. When entering the museum, you pay a small entry fee (around $3) and then have free reign to the rest of the building for as long as you want. The museum is made up for three floors. 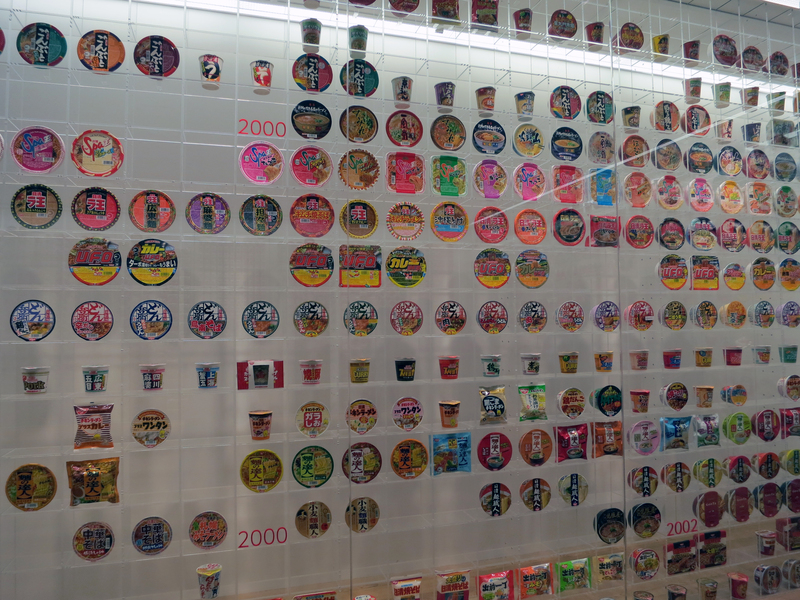 The first floor is the gallery where plaques on the walls detail the history of ramen noodles over the years. After touring the gallery, you descend into the 2-storey basement where immediately you are awestruck upon walking into a scale replica of the town of Shitamachi, a small suburb of Tokyo. The year is 1958, the time when Ramen was first introduced to Japan and began its rise to fame. In addition to being the rise of ramen in Japan, the 1950's was a boom time for Tokyo and is looked back at with rose-tinted glasses by many older Japanese historians. This was the Showa era when young people still lived in small villages, took care of their parents and cherished the small town lifestyle. Now, those same towns are almost fading away because they are losing all their young people to the major cities like Tokyo. The details in the design of this faux-city are immaculate. The scene is set at dusk, and the twinkling lights of the city have started to shine. These ramen shops close to the train station would catch commuters on their way home and were central to small town life. There was a lived-in feeling to this place, a grittiness that helped the authenticity of the experience. Along the walls are fake advertisements and retro signage. Posters advertising rooms for rent, blockbuster movies and even the latest in electronics. Clothes hung out to dry, and a subtle breeze blew through the air. There are nine different restaurants open throughout the two lower floors serving up all sorts of different ramen, each specialising in a regional variety. The small brochure you receive with your admission gives a little description about every shop and what they serve. But the best way to explore them is just to give them all a try. There are usually two lines in front of each shop; one to line up to purchase a food ticket and the other to get your seat inside. You need to buy a ticket for your ramen from a small vending machine outside the shop. All the buttons are in both English, and Japanese so don't worry about having to translate. Once you've bought your ticket, you can line up and will be given a seat inside. One important thing to note, you cannot sit inside the restaurant without purchasing ramen. So get ready to eat a lot, or you'll have to wait outside like a chump. I had to do this while Dan enjoyed more noodles on his lonesome. You do have the option of buying a "mini ramen" which is about 2/3 of a regular bowl of ramen and will allow you to fill up on more throughout the day. I still only managed two of the "mini" bowls. Once seated inside, these small shop fronts open up into regular sized ramen restaurants and you'd never even know you weren't on the streets of Tokyo. There are tables for groups, doubles and even single seats around the bar, so you won't have to wait too long to be seated. Weekends and holidays are obviously the busier times to go, but on weekdays we barely had to wait at all. Find the shortest line and start there. To distinguish the different types of ramen, the place to first look is with the broth. In the south they use pork bone (tonkatsu) broth, in the north, they use a clear chicken and vegetable broth which is seasoned with salt and a pad of butter, in other regions they prefer a soy sauce or miso broth to bring in some extra flavour. My favourite is the pork bone broth. The broth is thick and fatty, mixed with the noodles this ramen is a perfect, hearty dish. Other regional specialities are found withing what ingredient top the broth and noodles. You can have wontons, roast pork, bamboo shoots and (due to the Korean influence) a massive helping of hot chilis. After you've filled up on ramen, you can walk around the first basement level to check out the "dashi" or dime shop. This little shop sells penny candy, old retro toys and even pin-up photos of vintage Japanese film stars. Fill up a small plastic basket with all the sweets the little kid inside you desires. Along the alleys are also ice cream shops and a small bar if you feel like a break between rounds of ramen. Wandering the narrow alleyways, there are fake store front selling cigarettes, camera, cosmetics and more. Crawling up the wall are dozens upon dozens of ads written in Japanese. I wished I would have been able to read them as I'm sure they helped set the scene for the surroundings. The gift shop you can visit upon exiting has lots of ramen-themed trinkets, souvenirs and they even sell vacuumed packed ramen packages you can customise with your favourite ingredients. They can even print a custom package design with your face imprinted on the packet.